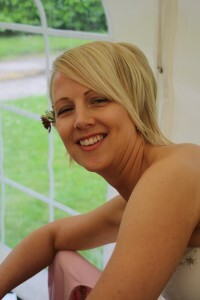 Sian has over 15 years experience in Paediatric Physiotherapy. Even as a physiotherapy student at Leeds Metropolitan University, Sian knew she wanted to work in paediatrics. Graduating in 2002 and having completed her basic rotations (including paediatrics) at Leighton Hospital, she was lucky enough to get her dream job in the neighbouring community Trust. Sian worked for the NHS for over 12 years before deciding to take the leap into the Private Sector. She set up Therapy Stars in 2014 because she believes that every child should be given the chance to reach their potential. Sian has continued her studies, always looking for further ways to improve her skills and knowledge. She has attended post graduate courses in the Halliwick method of hydrotherapy, Symmetrikit sleep systems, Bobath Therapy, Spasticity, Sensory Integration, Paediatric kinesio-taping, Myofascial release and most recently APPI Pilates. Sian is passionate about fostering a holistic approach to children’s therapy. Physiotherapy and home programmes are tailored to each child, and realistic goals are set alongside the child and his/her family. The programmes are always appropriate for the abilities and age of the individual. Sian is a member of the HCPC, the CSP, the APCP (Association of Paediatric Chartered Physiotherapists), the CPTRH (Chartered Physiotherapists in Therapeutic Riding and Hippotherapy) and the ATACP (Aquatic Therapy Association of Chartered Physiotherapists). Sian has presented lectures for both the APCP and at a Hippotherapy conference. Away from Physiotherapy, Sian enjoys spending time with her family, playing netball and being by the sea!